The Vantage™ Bagging Machine from Euclid® Medical Products is the ultimate solution in hand load syringes, vials and other miscellaneous pharmacy items. 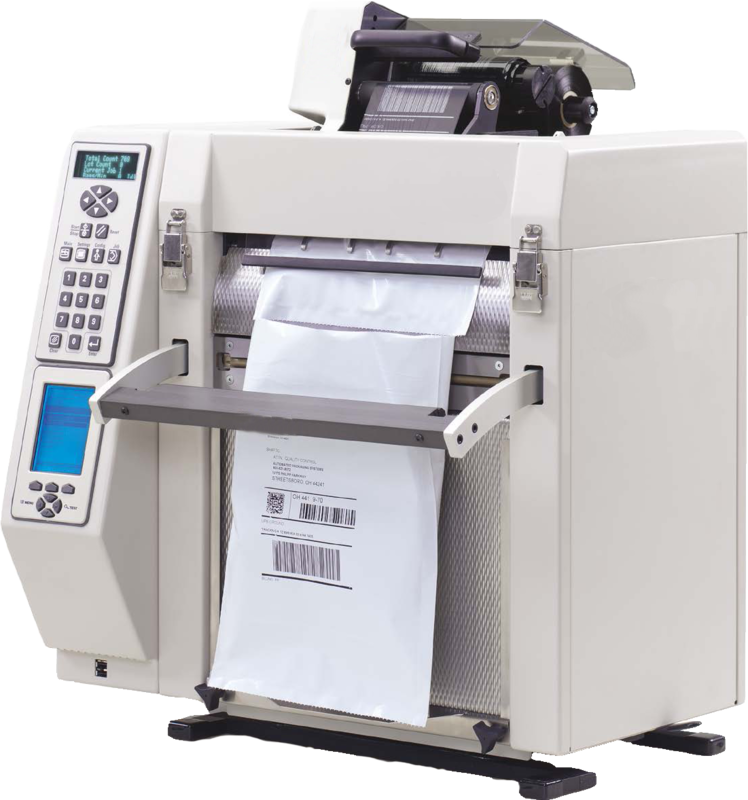 The Vantage™ Bagging Machine is specifically designed to bring simplicity, versatility, quality and value to to all of your pharmacy packaging needs. Vantage™ Software works with the Bagging Machine to allow access to all your information. Vantage™ Software Euclid® Vantage Software, as well as installation/training, is included in the purchase of any Euclid® Vantage™ Series equipment. The Vantage™ Bagging Machine is simple to operate, with a user-friendly display that enables easy access to operating parameters, job set-up, job storage, and onboard system diagnostics. The unique, locking turntable combines with the automatic thread feature to provide ergonomic handling and changeover of Vantage™ bags-on-a-roll. Operating at speeds up to 25 bags per minute (15 BPM OneStep version), the Vantage™ Bagging Machine offers innovative engineering in a simple, tabletop design. The machine features a small footprint of 22 x 19 inches and weighs just 82 pounds. The quiet, all-electric design does not require compressed air to run, making the unit highly adaptable in any low- to mid-volume production environment. Tilt-back printer* enables fast and easy maintenance and is system-matched for highest print quality. Euclid® Medical Products offers leasing options and extended warranties to better serve you. If you have any questions about either, please email us now.